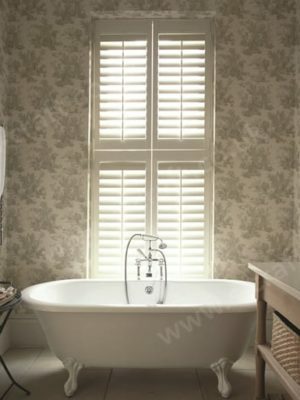 At Holmfields we are dedicated to providing you with the best quality, bespoke window shutters service. 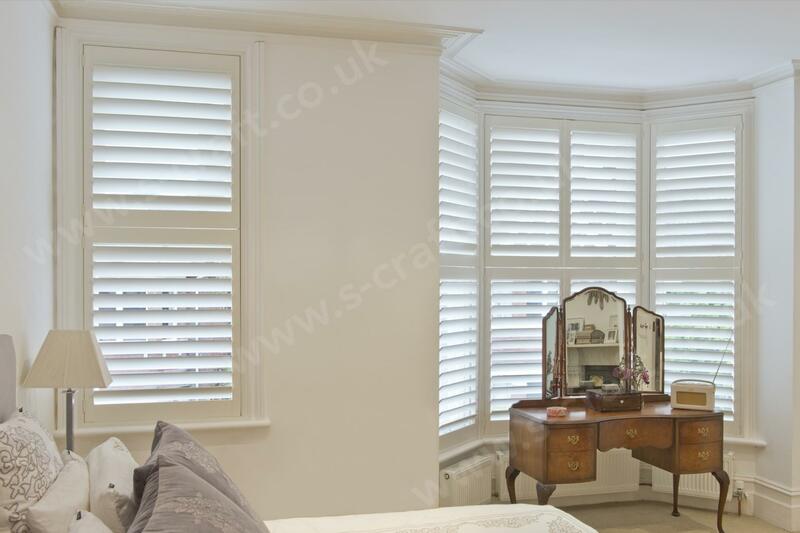 We are proud suppliers and installers of S:CRAFT shutter products. 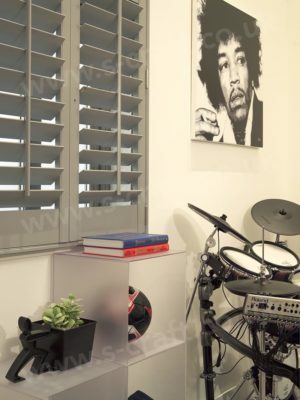 When it comes to window coverings, we believe shutters are the best option for several reasons: they provide you with the ultimate privacy but still allowing you to control the amount of light coming into a room. 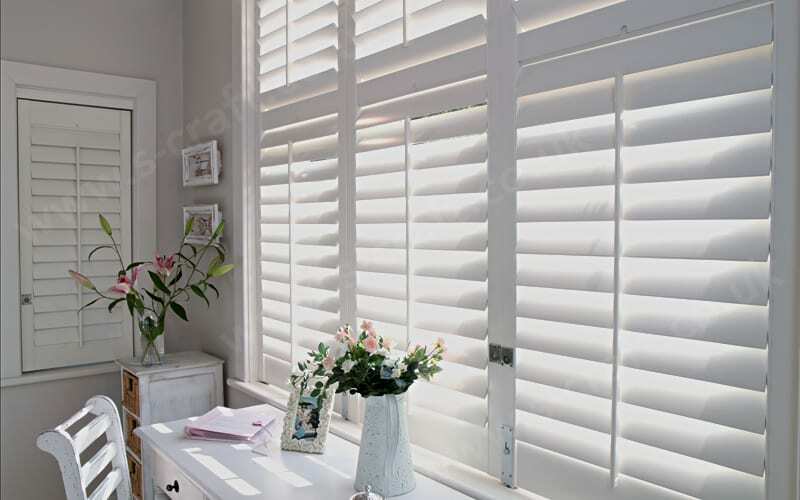 Shutters are perfect all year round as they add a layer of insulation, keeping your home warm in winter but cool in the summer, making your home more economical. 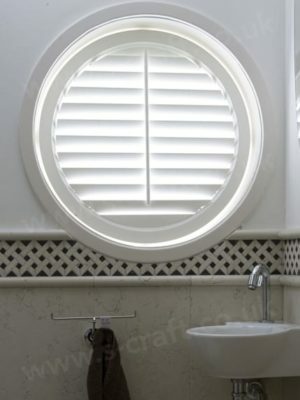 Just like our other bespoke services, we offer a wide range of styles for window shutters too. Every shutter is made to measure so, no space or size is ‘too awkward.’ Whether it’s for French doors, angled or even curved windows, our expert team can work with you to find the perfect shutter for your space. 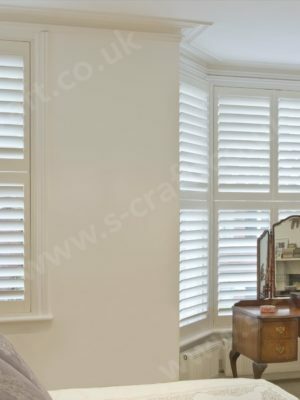 S:CRAFT’s tailor-made shutter service features a variety of top quality premium materials, colours, styles, shapes, sizes and finishes. 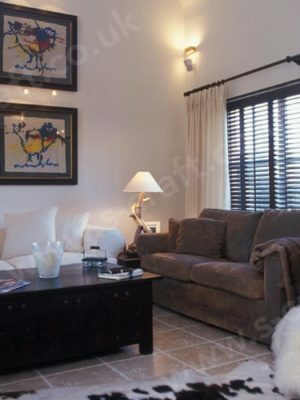 Every design is manufactured using state-of-the-art machinery, with attention to detail. 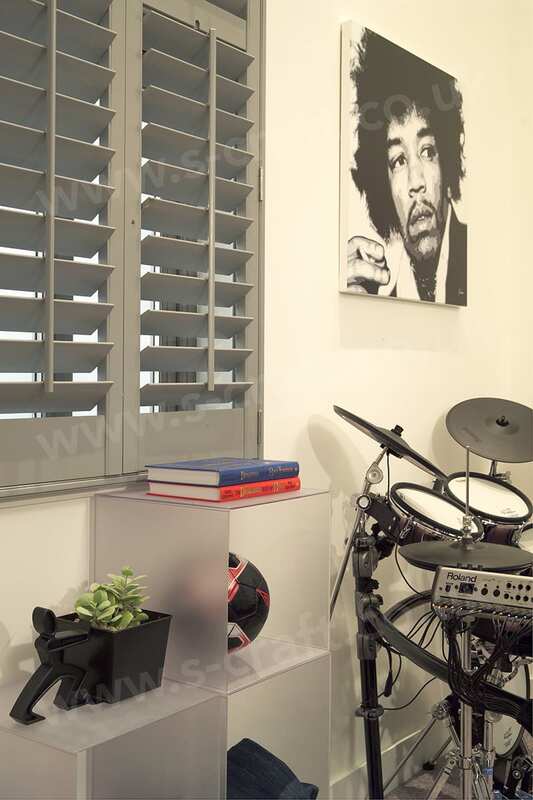 All our shutters come with a 3-year warranty on structural defects, hardware and colourfastness, offering you total peace of mind. 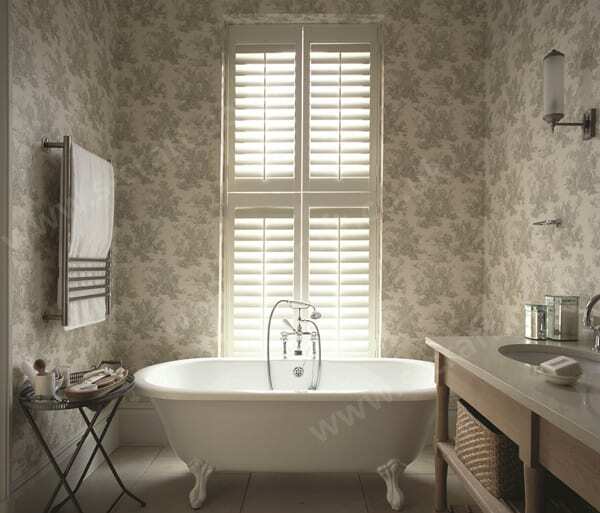 Our styles range from classic full height shutters to more contemporary options like our café style, which offer partial coverage, providing privacy but also plenty of light. Tier-on-tier allows you to have total control over the view, light and privacy. 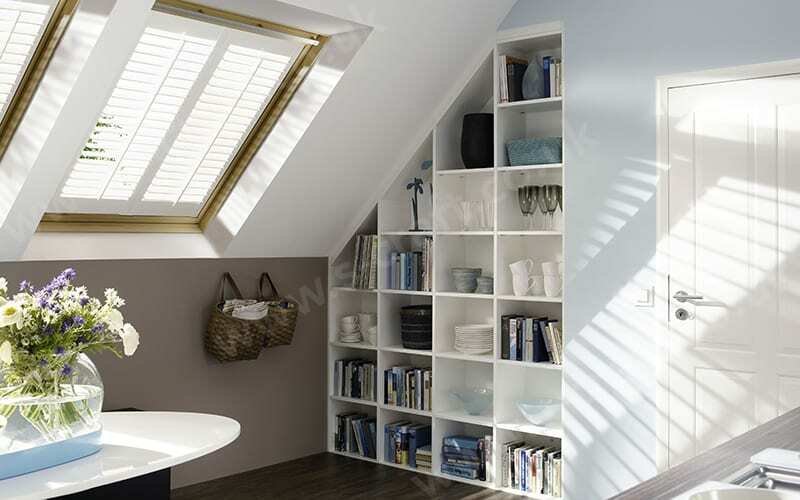 We also provide shutters for skylights, conservatory windows french doors and bay windows. 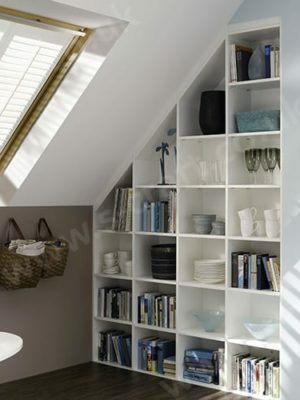 The Java range is one of our most robust and is fully waterproof, making them perfect for humid spaces like bathrooms, kitchens and wet rooms. 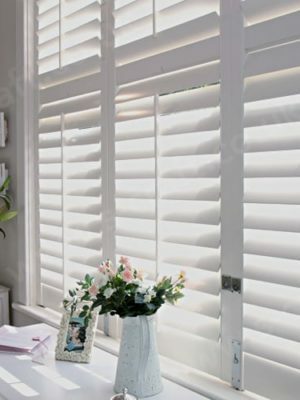 We also offer optional extras from customised colours, room darkening (available on certain ranges and styles), silent tilt rods and fixed louvres. 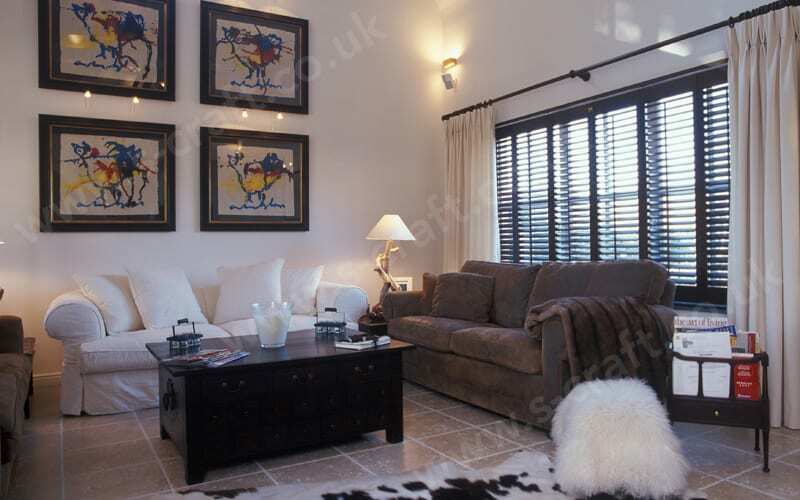 We aim to help you create your perfect bespoke home, for a quote, questions or queries feel free to give us a call on 0116 255 6669 or fill in our online contact form. 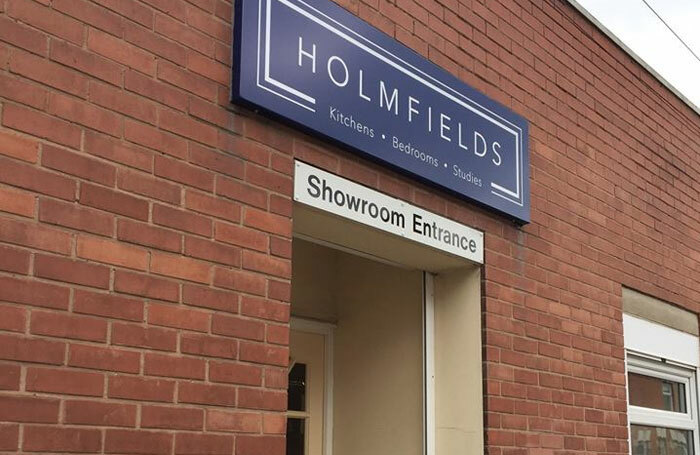 Alternatively, visit our Leicester showroom.